I have always been fascinated by history, particularly the history of wars. 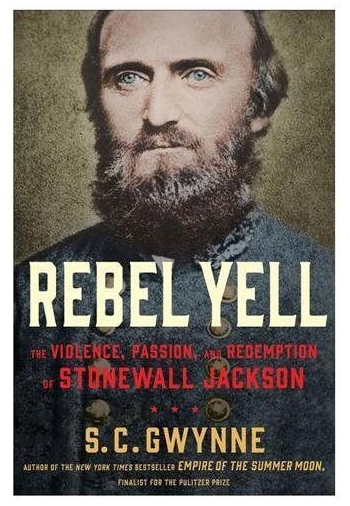 Right now I am reading Rebel Yell by S. C. Gwynne, subtitled “The Violence, Passion, and Redemption of Stonewall Jackson.” It’s a serious tome—575 pages of reading, 45 pages of notes, and 13 pages of bibliography. The copy I have is an “Advance Reader’s Edition.” Sadly, I seem never to read these privileged editions until well after the book has been published, in this case October 2014. Nonetheless…. Stonewall Jackson was one of the Confederacy’s greatest generals during the Civil War. 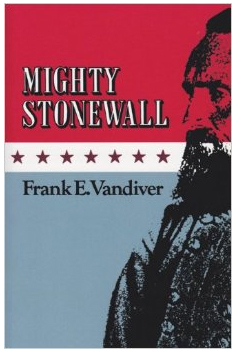 The first book I ever read that was dedicated solely to Stonewall Jackson was Mighty Stonewall by Frank E. Vandiver (1925-2005), published in 1957. Dr. Vandiver was president of Texas A&M University from 1981 to 1988. When I heard that a history professor had been named president of my alma mater, I was fascinated and immediately turned to finding out more about him. That was when I discovered his Mighty Stonewall book. Dr. Vandiver was a foremost authority on the Civil War, and he is mentioned several times in the notes and bibliography of Gwynne’s book. I am barely halfway through Gwynne’s book, but it is obvious what the “violence” and “passion” in the subtitle mean. Jackson was extraordinarily violent, even going so far as to shoot his own men when he deemed it necessary. The passion comes from his dedication to “Providence.” He had a firm belief that he was fighting for God. Since I haven’t finished the book, and Jackson died two years before the end of the war, I don’t know where “redemption” comes from. Jackson died on May 10, 1863, of complications from pneumonia which set in after he had been wounded at the Battle of Chancellorsville. I would have liked to have heard how he reconciled losing the war if God was on his side and the side of the Confederacy. 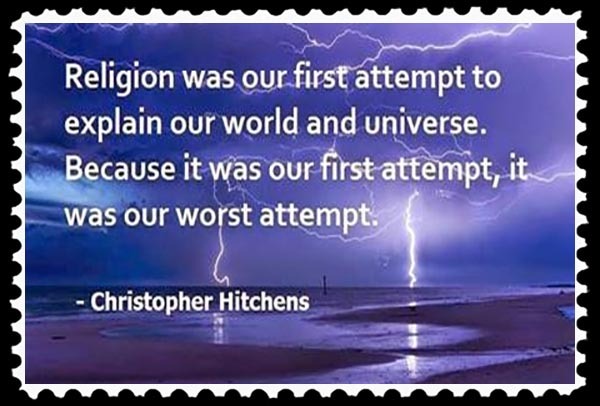 Religion was humanity’s first attempt at explaining the world and universe. Mankind’s first attempts at doing anything are bad, some of them notoriously bad. 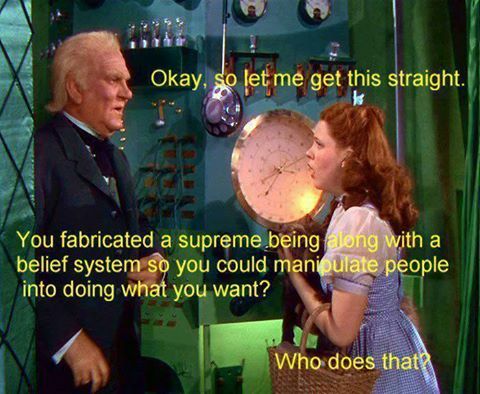 Religion was not very good at explaining things, relying on myth, superstition, magic, mind control, etc. 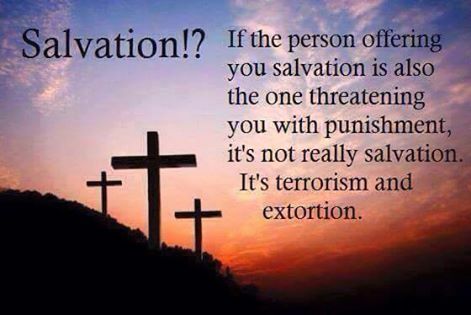 It’s not religion’s fault. Humanity and science simply had not evolved to the point where the universe could be better understood without making up things. 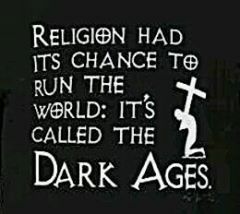 It is religion’s fault for not getting with the times. 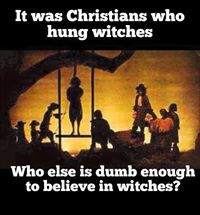 As long as there are people willing to believe religious dogmas written thousands of years ago instead of using logic, reasoning, science, facts, etc., to understand the universe, and to kill in the name of that religion, humanity is doomed to a continued existence of fighting and killing each other. A few more of my favorite memes collected from the Internet, and I make no apology to my Christian friends. That’s what’s wonderful about America—people are free to believe what they want, or not to believe at all, and to criticize each other for their beliefs, or lack thereof. This entry was posted in History, Opinion and tagged frank vandiver, mighty stonewall, rebel yell, religion, s. c. gwynne, stonewall jackson on May 9, 2015 by Russel Ray Photos. 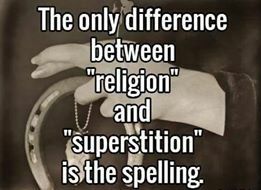 I firmly believe that one can be spiritual but not religious. 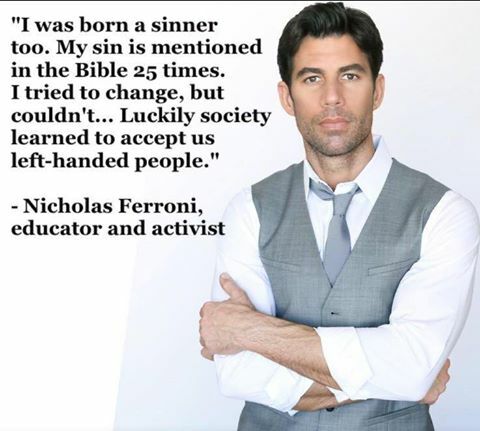 The “left-handed ” thing is mind-boggling. I didn’t know that was in the Bible. But then there’s so much in the Bible that I find horrific, like God telling Abraham to sacrifice his son, Isaac, as proof of his loyalty and obedience to God. When the Bible was first digitized and put online, a friend and I took it and deleted all the negative reinforcement and horror stories, as well as the magic stuff, which condensed it to a whopping 36 pages, 8½x11, single-spaced, Times font, 11 pt on 12 pt leading. That was an eye opener. That’s incredible! But I totally believe it. I’m going to tell you a story one day. I’m trying to find the courage to tell it in a way that can be understood. I’m in complete agreement with you. There is no Santa Claus in the sky that doles out good and bad. Religion separates, spirituality unites. The judgement doesn’t come from what we call God, it comes from us. We do it to ourselves and each other. The bible was written by men. Some may have had good intentions, but most had an agenda. There is an extreme lack of acceptance in the world for what is different. It comes from fear. Everything that is not love, is fear. Fear breeds hate, Will it ever end? I doubt it. It’s like having only sunshine with no rain. I ask everyday for peace and tolerance in myself first. It has to grow from there.. It’s what I’m in search of…ultimately. By the way, I LOVE ALL YOUR SIGNS. 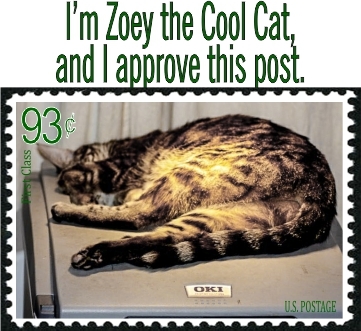 I want to pin them but will save them for myself. I think every single one of them had an agenda. If only it were that simple. People seem to have a genetic urge to worship something. If it isn’t a god, it is a celebrity, or a dictator. 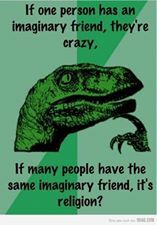 Then, at least religion makes some (usually absurd) attempt to explain the purpose and direction of life, the universe, and everything. Science explains more and more minutely how things work, and dodges with ever-increasing delicacy round the question of why. The very nature of science is why it dodges around the question of why. I have never found a great need to know why. I don’t care. I am what I am. I am here, and doing good and helping people makes me feel good. That’s all I need. 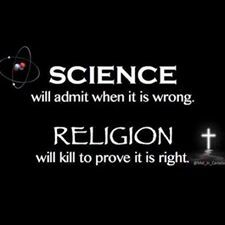 That is typical of the rather blinkered scientific outlook. If one sees something moving, it is not enough to figure out what enables it to do so. One should also want to know where it is intended to be going and why. The scientific approach is not incompatible with following up such investigation. I’ll heartily disagree with you. I have no need to know where it is going and why. How, where, and why are three completely different things. I’m not interested in the where and why. However, if YOU want to know where it is going and why, by all means, find out! That’s what freedom is all about. I like pistols. With swords one tends to get all bloody. But can we make it at dusk, after I’ve had my margarita? Clever. That way one can’t see to shoot straight. This was a fascinating book. I’ll have one more post about it tomorrow.